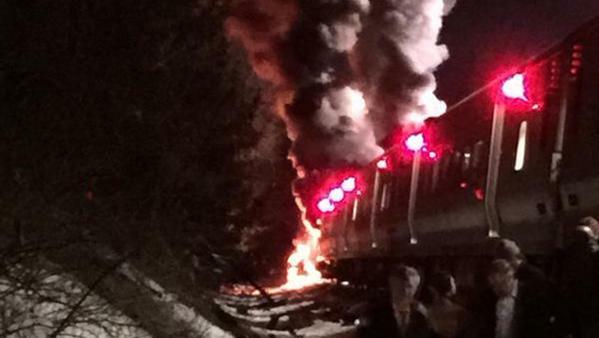 There are several dead and multiple injuries after a Metro-North train on the Harlem line in Westchester crashed into two cars crossing the tracks, causing them to burst into flames, according to officials. 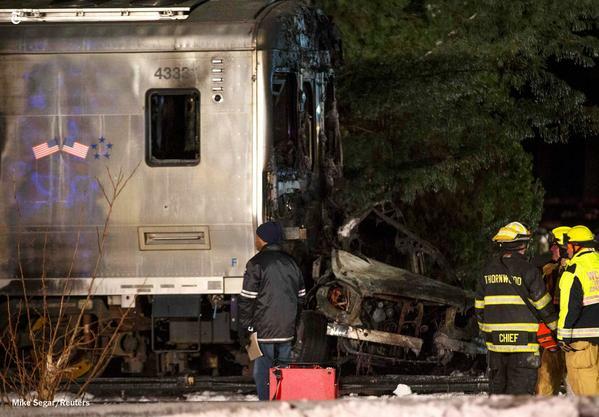 Investigations will take time, Sumwalt says, as people that were on the train have, "been through a lot mentally and physically." Reporter asks about how weather forecast will affect investigation, Sumwalt says, "It will be cold and messy, but it will not impede our investigation." Sumwalt asks that any witnesses contact them by email (witness@NTSB.gov). 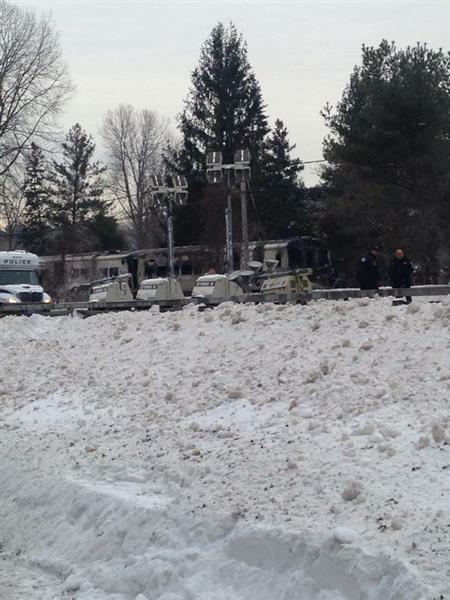 After just arriving in Valhalla, Sumwalt says they have "taken command" of the accident scene. They will be looking for photos of scene, evidence and more. Asked about passenger evacuation immediately following last night's crash, Sumwalt says that is one of the things the NTSB will be investigating. 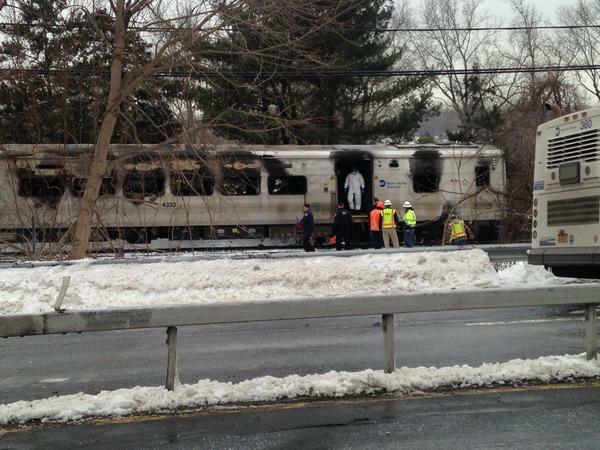 NTSB is closely following the Metro-North crash this evening. More to come. 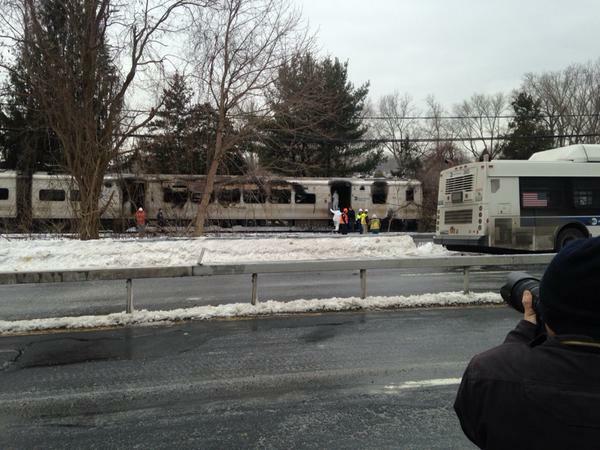 Watch footage from the scene of the Metro-North crash. 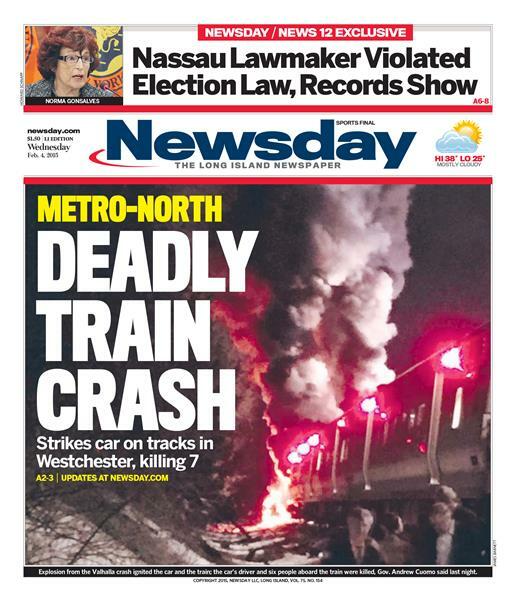 Please join me in keeping all those affected by this evening's tragic accident on the Metro-North line in your thoughts and prayers.